UPDATED! This post was expanded for 2018 to include more info for better link building with content! You’ve probably noticed that a lot of link building and SEO guides focus on creating high-quality content. There’s a good reason for that: it’s far easier to build links to top-quality content because that’s what gets shared. Businesses and individuals are in search of quality material to link to so that they have something of value to offer their website visitors, and if you’ll notice, few people link to a homepage, product page or shopping cart. Content marketing is when you create and share content (articles, blogs, infographics) for the purpose of driving traffic to your website and navigating visitors through your marketing funnel in order to acquire new customers. Link building is when you get other websites or blogs to link to your web page in order to improve your search engine rankings. The engines crawl the web looking for links between your web pages and other websites to decide how valid your content is and thus where your page should rank in their search results. As far as the search engines are concerned, if your website or blog contains a lot of authoritative links plus receives a lot of links to it, then you are not only considered popular, but valid, too. And search engines are constantly evolving their algorithms to discern the spammy links from the trustworthy ones, which means that valuable content and inbound marketing are more important than ever. Because 93% of marketers use content in their marketing strategy and 42% of them regard their content marketing skills as effective, this is an area where you don’t want to get left behind! In this guide, we’re going to share tactics that will help you create linkable high-quality content for your website as well as use that content for link building to your website. In the introduction, we explained that linkable, well-crafted content is that which is specifically geared towards helping you build links to your website. But let’s step back for a moment and explain what exactly quality material is. By incorporating these five points, your work will stand heads and shoulders above the crowd. The first thing to do is start the process with in-depth research. Find the top pieces of content about your subject and determine what each one of them is missing. You’ll probably find that out of ten posts, each one covers something different. If you combine all those ideas into one piece of content with your own unique take on the subject, you’re already well on your way to success! In addition, aim for meaty posts with over 1,000 words. Studies from analyzing a million articles have shown that content that is 1,000+ words tends to get the most social shares and backlinks. Free Bonus Download: Get our free SEO guide to learn how to skyrocket your rankings, even in a competitive niche! Click here to download it free. This search will give you the top writers in your niche along with some samples from their portfolio, which you should definitely read to ensure that their style of writing is appropriate for your brand. Run the search for sites that produce the type of content you are looking to create in order to find writers who already have a handle on the topic and are experts at crafting high-quality content. Once you have hired someone to create some really cream-of-the-crop writing, it’s time to add the elements that will transform it into linkable material. Here are the elements that you will need in your content and how each will help you get links. It’s one thing to say that Facebook is the most popular social network on the planet, but without the numbers to back it up, it just comes off as opinion. 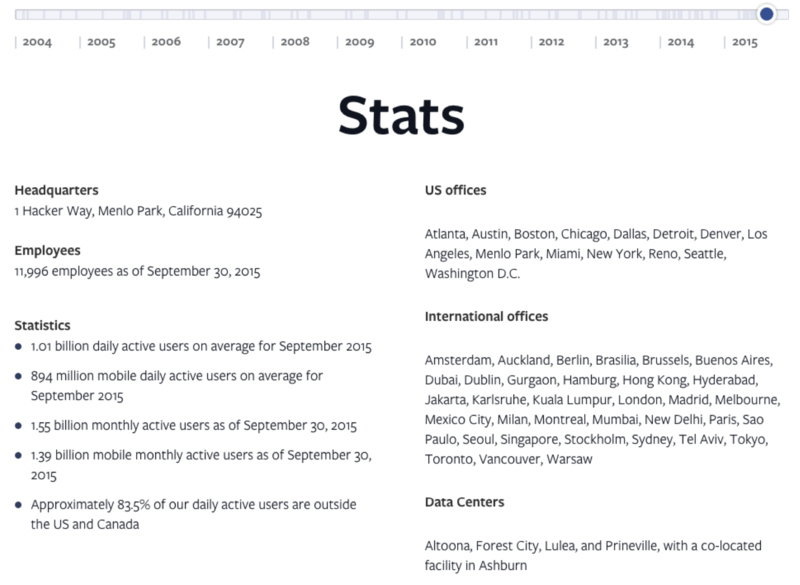 But when you write that with 1.55 billion active monthly users, 83.5% of which are outside of the US and Canada, Facebook is the most popular social network on the planet, this is no longer opinion; it’s fact-based writing with the statistics to back it up. This is what separates the experts from the amateurs. Cite specific sources for every one of your claims throughout your article so that readers instantly get that they are looking at a well-researched piece of content. This gives them a reason to trust you and link to your content rather than content written by others. It also allows the readers to dive deeper into the subject to which you sourced if that interests them. Doing research for a new blog post is a relatively simple process. First, when after you decide on a topic to write about, do some basic searches on Google to get a feel for other similar content that’s already out there. Be sure to pay attention to the “search suggestions” drop-down on Google. This way, you’ll be able to better understand the keywords and phrases that people use to find out more about your topic. By seeing what type of content other people are writing on your topic, you can also uncover different “angles” for your own writing. For example, if everyone is talking about the technical side of starting a WordPress blog, you could talk about the psychological side. If everyone is writing generic articles on how to get more traffic to a WordPress site, you could write niche-specific articles. Doing research also helps you uncover data and other facts to back up whatever claims you make. 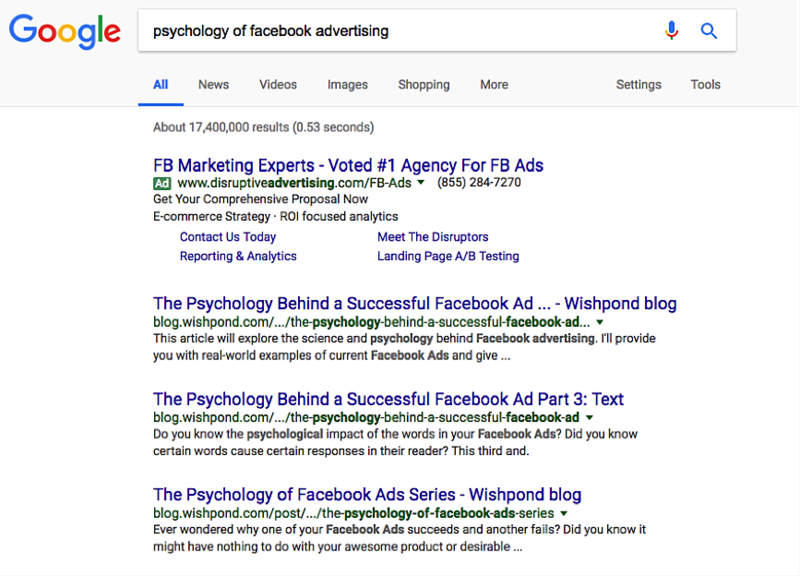 If you’re writing an article about Facebook advertising, you could type in “Psychology of Facebook ads,” “Facebook ad research” or “Facebook ad case studies” to find interesting research to cite in your post. In-depth, well-researched articles are the type of posts that readers bookmark and visit over and over again. Another way to add credibility to your writing is by using quotes. For example, I could say that link-building methods of the past will no longer help your website. But again, that’s just opinion, and unless you already consider me an expert, you won’t necessarily pay heed to it. On the other hand, if I say that John Mueller of Google suggests that webmasters should focus less on link building as it’s been done in the past and instead focus more on creating high-quality content that is easy to link to, I have now added expert opinion from Google, a source that most people trust. All the better if I can use word-for-word quotes that are hyperlinked to the source. 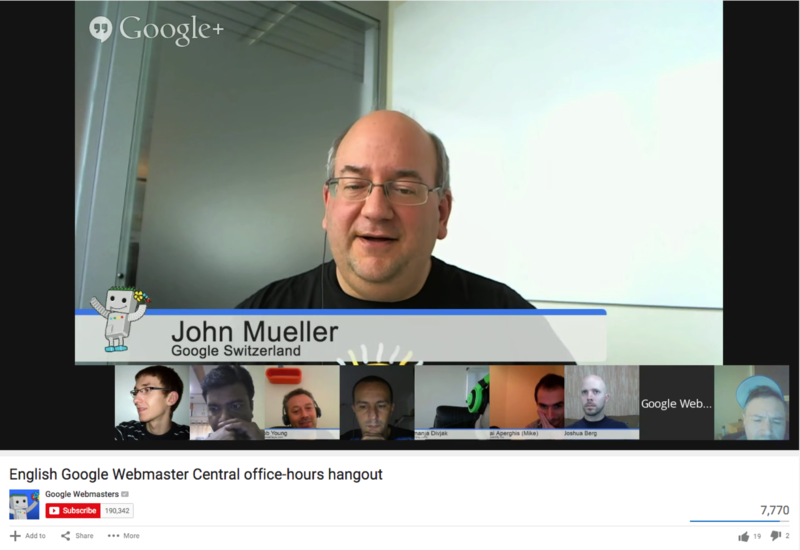 Even if someone has never heard the name John Mueller, the fact that he is from Google makes him an instant expert in the area of SEO. When you can’t find specific research or statistics, expert quotes are the next best thing to back them up. In addition to making your content higher quality by adding in expert opinion, you have also added influencers to the article who might actually help you promote it. Even if Mueller doesn’t link to your content, he might share it with his 14.4k Twitter followers, which may in turn prompt one of his fans to share it with their own audience or link to your content. “Experts” are defined as people who have authority in a given industry. For that reason, popular blogs in your industry can also be recognized as a go-to expert resource for research and statistics. For example, if you’re in the marketing space, you can cite data from blog posts on sites like HubSpot, Moz, Search Engine Journal or Unbounce – just to name a few. When your readers see that your claims are backed up by expert opinions, they’re more likely to trust your articles, and they’re more likely to mentally associate you with that expert. If you cite a blog post as your resource, you can e-mail an editor from that blog and mention that you linked to them. Then you can ask them if they’d be willing to link to a specific post of yours in return. Don’t just say that people should try various SEO tools. 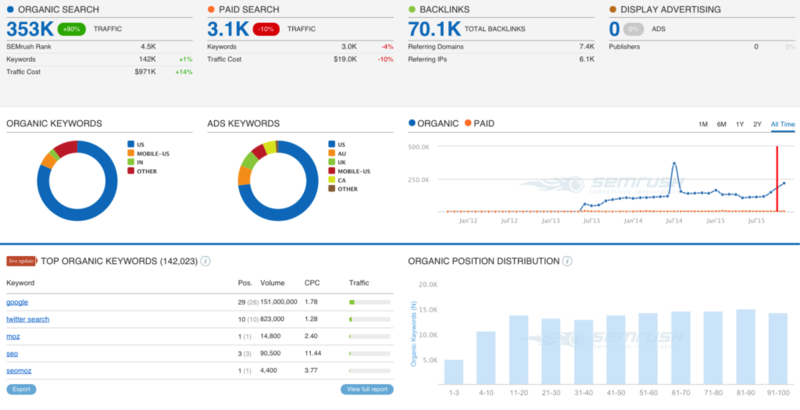 Recommend your favorites, like SEMrush for paid search advertising research and Monitor Backlinks for link profile monitoring. Don’t just say there are tons of great beginner’s guides to SEO. Provide a few examples, like Moz’s Free Beginner’s Guide or Buffer’s Complete Beginner’s Guide. Don’t just say there are lots of SEO experts. Mention the ones that you frequently refer to, like Bruce Clay, Loren Baker, Dr. Pete Meyers, John Rampton, or Single Grain. Better yet, don’t just include links; include images that show what people will find when they click through to one of your recommendations, like this quick peek at a report from SEMrush. For the average reader, this adds more value to your content because you are giving them additional resources that provide substantial information. Remember, you’ll stand out from the competition by doing this because so few people take the time to give their readers this kind of value. You have also added more opportunities to connect with people to let them know that you have featured them, their resource or their product in your latest piece of content. Resulting shares based on “ego-baiting” (creating content that features an influencer for the purpose of getting a link or share from them in return) have the potential to result in links. In addition to “ego-baiting” on your own blog, you can also write guest posts for other major blogs where you feature experts in your industry. If you write a guest post on a site like HubSpot, Search Engine Journal or Moz and feature thought leaders in your field, that tends to make it easier when approaching them for backlinks. And in the future, when you post on your own blog, you’re more likely to get backlinks from them because they’ll already know your name. Another way to get backlinks from experts in your field is by interviewing them. In many cases, interviewing experts in your field is a better way to get backlinks than by just linking to their content. Emotional investment. An expert in your field will feel more of an emotional investment in your content if you interview them rather than just giving them a backlink. They’re spending more time and energy interacting with you and, as a result, they’re more likely to do favors for you in the long run. More value added for the expert. Interviews allow thought leaders and experts to share their story with more people. They’re able to promote products or services, build their brand, and interact with a new audience on a relatively deep level. 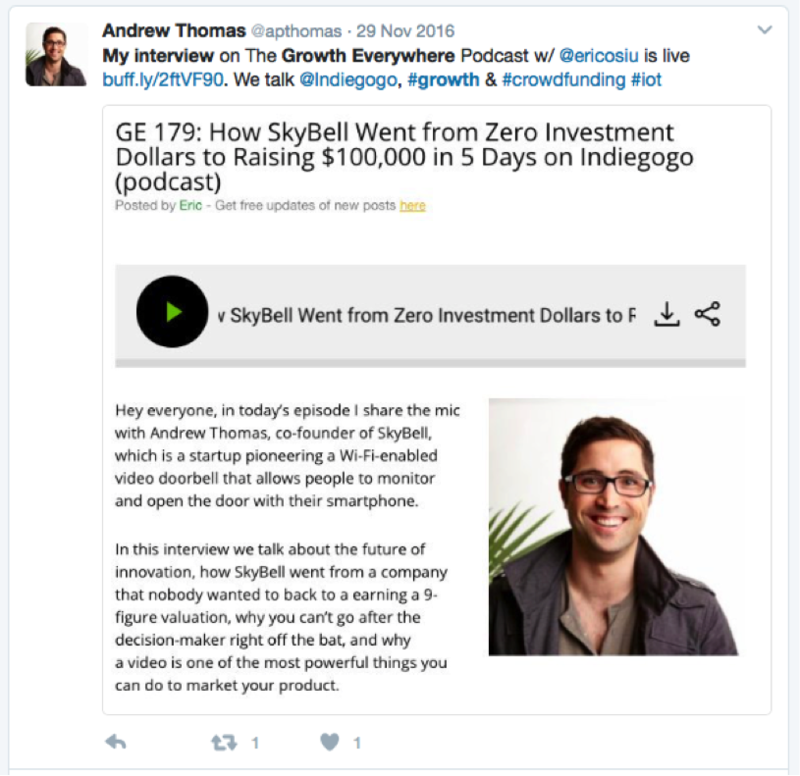 When we interview entrepreneurs and marketers for our Growth Everywhere podcast, they usually share the content or link to it on their own blog. Experts typically like to do interviews for people who already have an audience. But if you don’t have an audience already, there’s another option: offer to interview them for a major publication. Approach a blog like Business Insider, Huffington Post, etc. and ask them them whether they would be interested in publishing a blog post where you interview a specific expert in your field. If they say yes, you can then approach that expert, interview them, and write the blog post about it. 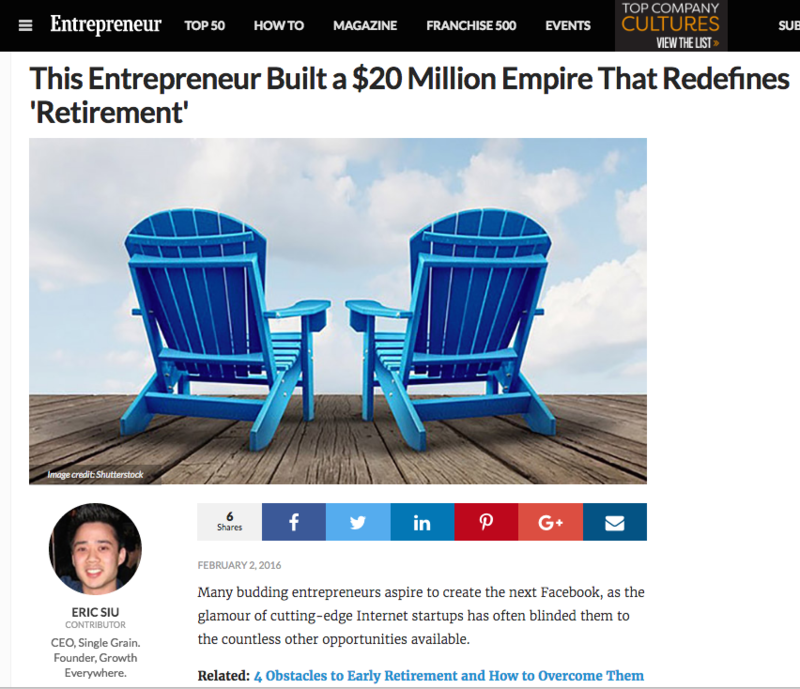 For example here’s a blog post we wrote for Entrepreneur.com featuring Brenton Hayden – the 28-year-old who built a $28 million empire from his own businesses. Each of these steps plays a vital role in getting links to your linkable high-caliber article. The first step is playing the numbers game. The number of social shares, the number of votes, and the number of comments you receive on your content all play a role in convincing people that your piece is valuable, popular and, ultimately, link worthy. This is why the second after you publish your content you need to start building up these numbers. Begin by sharing it to all your social media networks. Then encourage those social shares to increase by using networks like Fiverr, ViralContentBuzz, JustRetweet, and CoPromote. All these sites offer ways for you to effectively pay for social promotion. The key is to build up your numbers somewhat evenly across all networks. In other words, don’t buy 1,000 tweets and nothing else. Look to get an even distribution of tweets, likes, +1s, shares, stumbles, and pins. Then get it on popular voting networks like Inbound.org for marketing content, BizSugar for business content, or subreddits for any kind of content. It’s best that you reach out to people you know on each of these networks in order to get votes on your content as soon as it gets published. The faster the votes build up, the better the chances of it getting to the homepage and driving more traffic. Just don’t do anything like buy 100 votes for a network where the top content only has 20, or you’ll likely get bumped off the homepage for voting fraud. Finally, get comments. You’ll want to aim for a little higher quality on these as you don’t want to encourage spam on your website. The best place to start is your own email list. Send out a broadcast announcing your post and at the end of the email provide a clear call to action: that people stop by and share their thoughts on your blog post. From there, try out the groups on Facebook that are built specifically for bloggers to reciprocate one good comment for another. 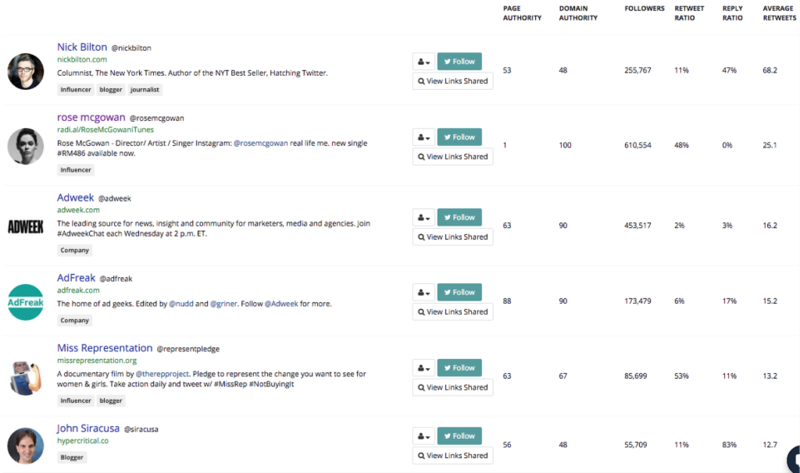 Next, do some Twitter outreach by finding people who have shared similar content using the pro version of BuzzSumo. If you can find direct contact information for these people, trying emailing them. Otherwise, send them a simple tweet to let them know that you noticed they shared a particular post and that you have a good one on the same topic you think they’d be interested in. Start with those sharers who have the most followers and retweets and work your way down the list. Just in case your outreach is ignored, you can also combine tactics by exporting lists of people from BuzzSumo who have shared similar content and then create Tailored Audiences for Twitter ads using their usernames. This is a great way to craft a relevant remarketing campaign for your target demographic. Since Twitter takes a while to create Tailored Audiences, you might want to do this research prior to publishing your content so that your Tailored Audiences are ready when the content goes live. Now it’s time to reach out directly to the people who are most likely to link to your content. These will typically be bloggers who are already linking to similar pieces. 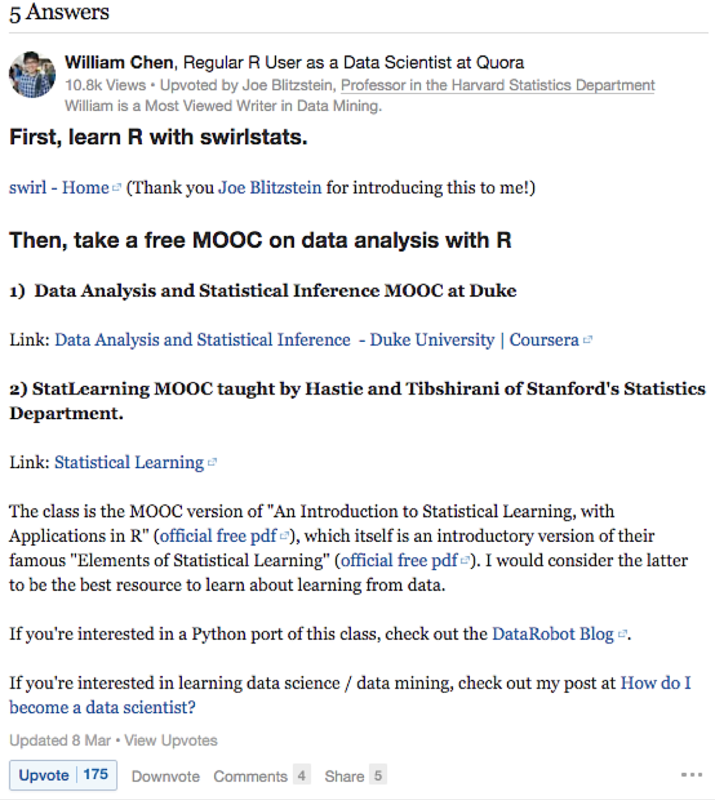 BuzzSumo also offers a feature that allows you to view the articles that link to this piece of content, so as you are viewing sharers, look at the linkers too. 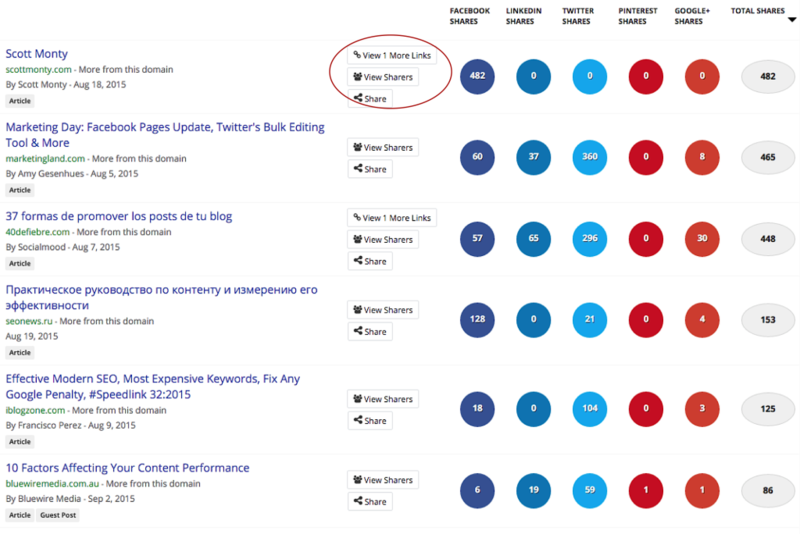 BuzzSumo makes your backlink research valuable by showing you only content backlinks—i.e. links to content from other pieces of content. Seeing the social share potential of the blog will also help you determine if it’s a quality website that will drive traffic to your own site. Using the results from that report, reach out to the blog author as well as the author who created the link to the similar post and let them know about yours. 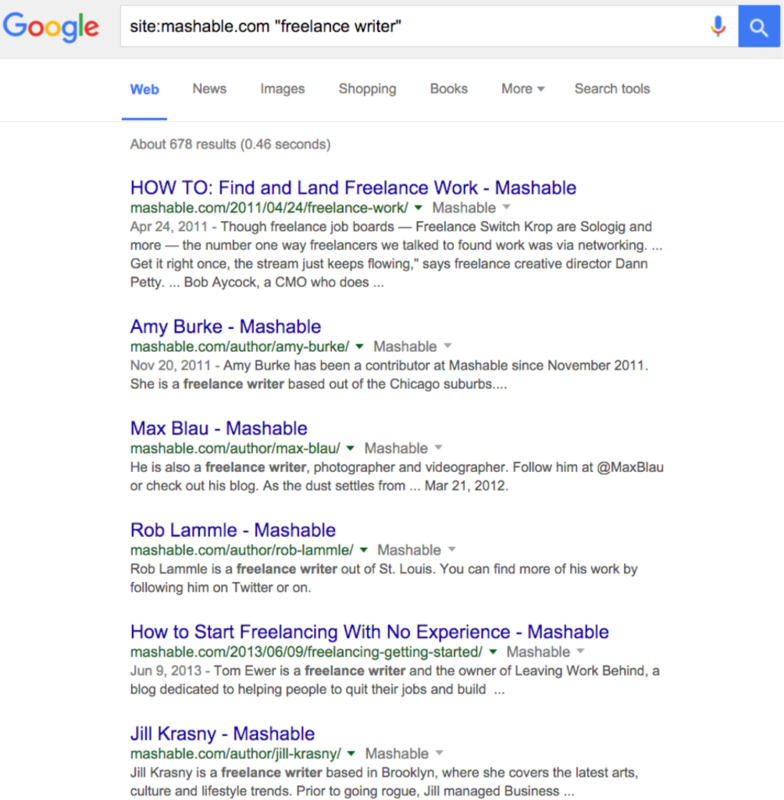 You’ll have a higher rate of success if you aim for the most recent posts, as they are more likely to be recently updated, as well as posts from authors who write link roundups, like Marketing Day (shown in the search results above). top [your topic] articles, etc. Reach out to those people directly so that they can include you in their next edition. Also be on the lookout for people who do roundups by email. In the SEO world, the holy grail is the Moz Top 10. Subscribe to their emails (preferably in advance), familiarize yourself with the content they share, and then reply to the latest one to let them know about your suggestion for their next email. Subscribers to those emails might have blogs of their own and might link to yours. 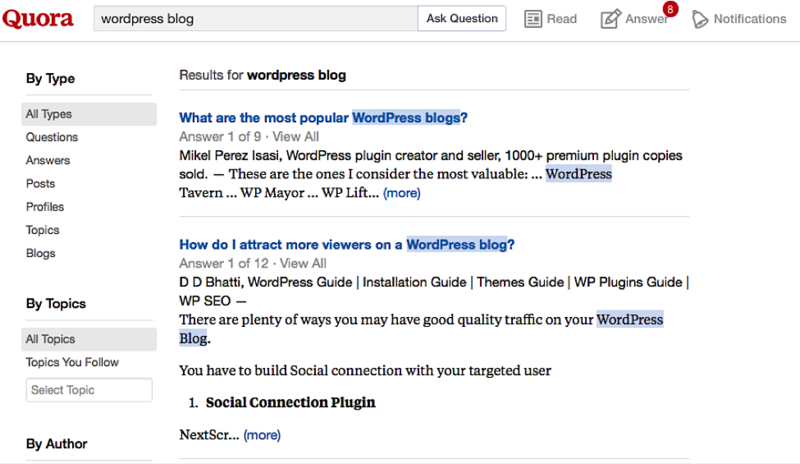 Last, but not least, look for ways to answer questions with links to your content. Search for these opportunities in Q&A networks like Yahoo Answers and Quora, forums, and social media groups. Not all of these arenas will create SEO links per say, but they will allow you to gain more exposure for your content in a helpful way. And more exposure has the potential to lead to more links. Create linkable high-quality content that is valuable, accurate, up-to-date, complete, and 1,000+ words. Include specific research, expert opinions, and resources. Build social proof immediately after publishing by getting social shares, social votes, and comments. Get exposure through social advertising and social outreach to people who share similar content. Get links through direct outreach to people who link to similar content. Get links by answering questions on Q&A networks, forums, and social media groups. If you follow these steps each time you write an epic piece of content, you will ultimately create a library of linkable high-quality content on your website that drives up the overall authority of your domain with great, editorial links.